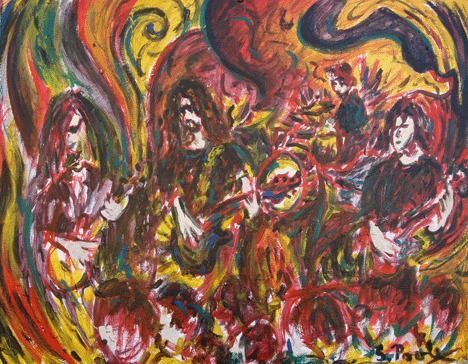 I painted this during a Shooter Jennings concert at The Chameleon Club here in Lancaster, PA. It shows a little bit of a different approach than most of my live works. Probably ended up going that route due to the ...expand text.